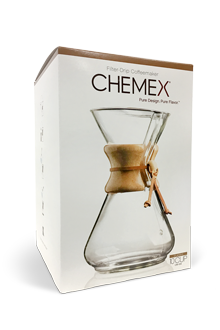 From branded Thanksgiving Coffee mugs to Chemex brewers to coffee filters, you can find your coffee accessories right here on the our store. 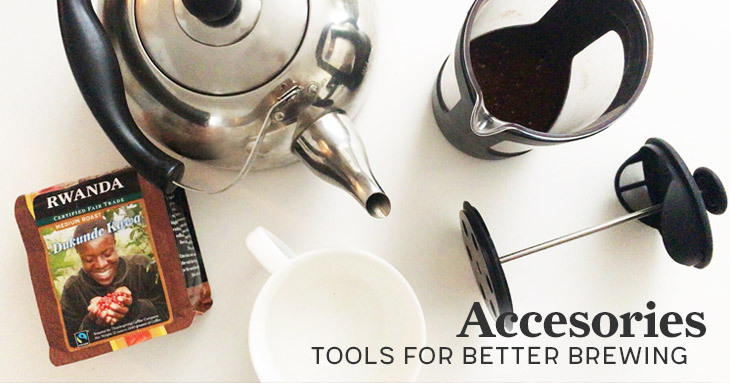 How are you brewing your artisan roasted coffee? We can help! 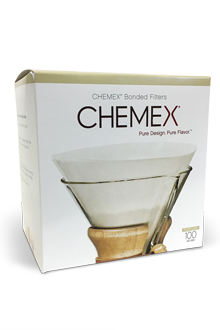 Check out our selection of brand name brewing accessories and equipment, and add what you need to your cart! 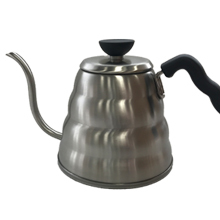 Step up your brewing game with these accessories. 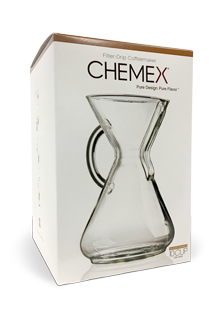 An elegant design that's simple to use. 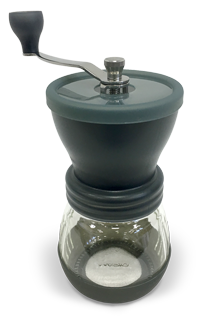 The Hario Buono - an elegant and highly functional kettle designed for pour-over brew methods. 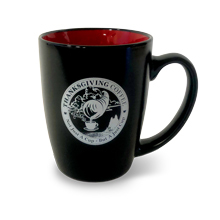 12oz black ceramic two tone Java mug, with our vintage Thanksgiving Coffee seal. 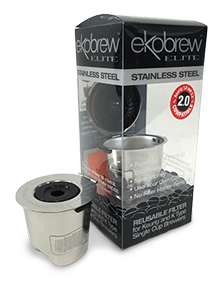 Ekobrew Elite Stainless Steel K Cup - brew your favorite coffee using this reusable, eco-friendly cup designed for Keurig single-serve coffee brewers. 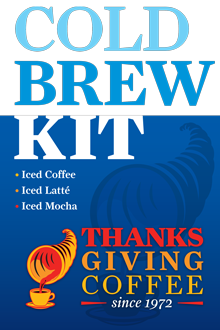 The Cold Brew Kit - This kit contains everything you need to make cold brew coffee.